A different noise on each page! 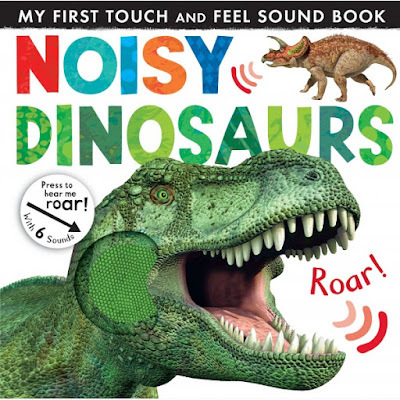 Noisy Dinosaurs, my first touch and feel sounds book, is a fantastic 12 page board book that allows toddlers to learn about dinosaurs through picture, texture, text and sound. Each double page discusses one dinosaur, has a textured part to allow children to interact with the book and also a different sound for each of the six featured dinosaurs. The great thing about the sound buttons is that it is not a plastic button that stands out from the page, rather the sound button is incorporated into the texture patches which also differ for each of the dinosaurs. I like this as it means the button does not detract from the book. Not only can you discuss the dinosaurs there is also the chance to discuss colour as each dinosaur double page focuses on a colour. Another feature that I loved about this book is that you can replace the battery to prolong the life of the book. 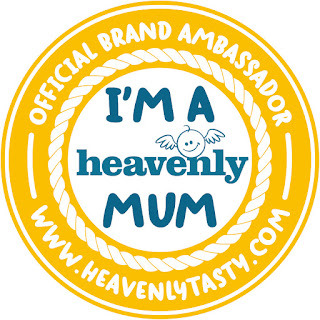 The sounds and textures add to the learning experience and means children can immerse themselves into the story, joining in and discovering things on each page. This would be the perfect first book for any dinosaur fan. Noisy Dinosaurs can be purchased from Little Tiger for £8.99. I was sent this book for the purposes of this review. All opinions are mine and mine alone. D&E love these sorts of books - and dinosaurs are all the rage at the moment, esp with Jurassic Park!